Grew Up… in the futuristic city of San Fransokyo. Hiro was raised by his aunt and his older brother Tadashi. They live above the café that their aunt runs. Tadashi goes to the nearby university, and Hiro uses his genius-level intelligence to build fighting robots. Living… in a daze. There was a fire at the university where Tadashi worked, and now he’s gone. Hiro has always looked up to his brother, and he’s not sure what to do now. Profession… inventor. Hiro’s incredibly good at robotics. In fact, he was going to join the lab where Tadashi worked, before the accident. Tadashi’s lab-mates are trying to comfort him, but it’s not working. Interests… invention, and solving the mystery of Tadashi’s death. 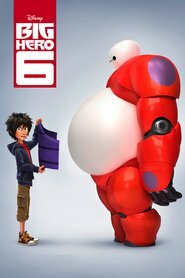 Hiro discovers an invention of Tadashi’s, a home care robot named Baymax. Baymax leads him to discover that the fire may not have been an accident after all. Together with Baymax and Tadashi’s friends, they create a superhero investigation team. Challenge… getting over the pain of Tadashi’s death. If he can find who caused the fire, he believes, he will know who to blame. But will he stop short of getting revenge, or will he ignore his friends’ warnings and try to take an eye for an eye? Personality… bright, impulsive, and rebellious. Hiro is in every way a precocious teenager, and he doesn’t always think through the consequences of his actions. But he cares deeply about his friends and his family, although like many teenagers he doesn’t always show it. Hiro's popularity ranking on CharacTour is #148 out of 5,000+ characters. See our top-ranked characters and read their profiles.